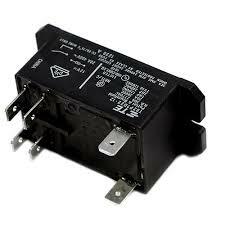 Replacement relay for Skutt kilns and many other brands. Skutt replacement part number 2139. This relay is used on Skutt KM model kilns with 6 vent slots on the top of the control box. For Skutt KM control boxes with 5 vent slots, this relay is not recommended. Please see the Skutt Clear Relay 1517 instead. Electrical specifications: 25 amp relay 208 – 240 volt.